I have already chosen my favourite wines of the year, both red and white. However 2015 has been probably the best year of my life offering me opportunities to fulfill lots of ambitions such as travelling and living in France, a full vendanges and lots of wine tasting. These have been 15 highlights. Wine of the year – Casa Pardet Cabernet Sauvignon 2011. One of those great, rare moments when a wine stops you in your tracks and wraps up all your attention in the wine as it unveils its aromas and flavours. Simply great wine. 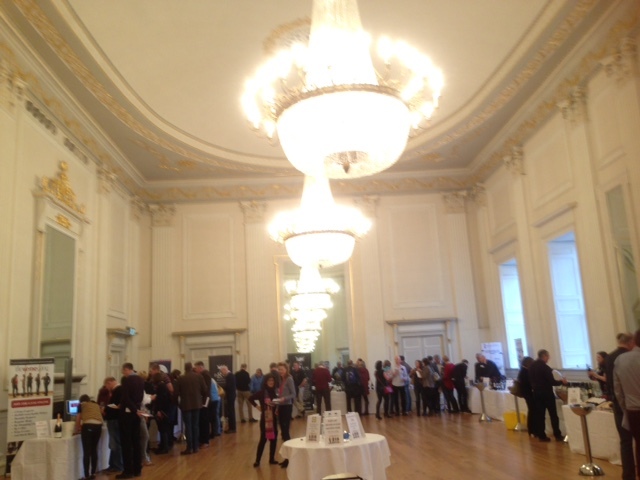 Tasting of the year – Lots of competition such as Biodyvin with wines from the likes of Zind Humbrecht and Huet, La Bande De Latour and the excellent series of tastings organised by Le Wine Shop in Pézenas (see Wine Tastings page). However, one salon stood out. La Remise in Arles was a two day joy. In its own grounds, with excellent food and a range of excellent producers, including the Casa Pardet above and Jeff Coutelou, La Remise had a lively, friendly atmosphere. 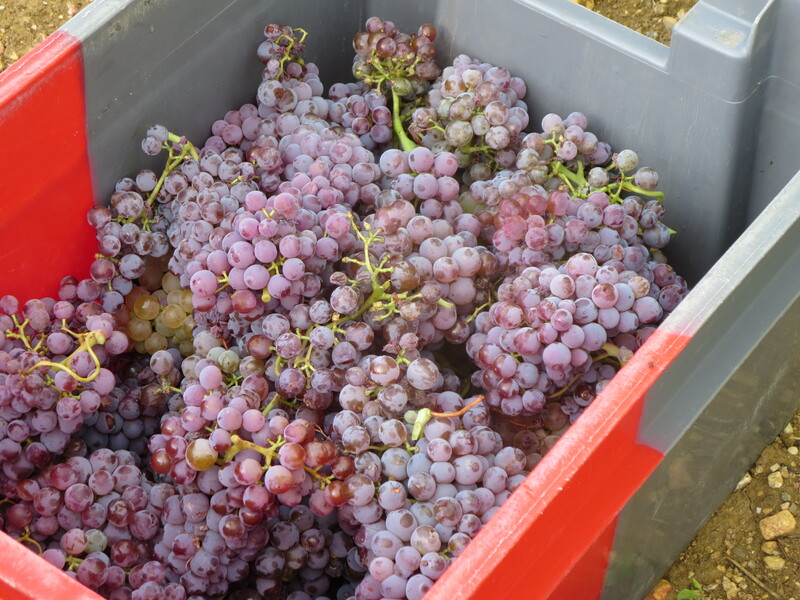 The inclusion of producers from Spain and Italy as well as various parts of France and the welcome addition of new, young producers provided a rich, enjoyable and rewarding experience. Visit of the year – I was tempted to choose my visit to Jurancon’s Domaine Montesquiou, the family produce a supreme range of wines with a great philosophy behind them. However, the visit which highlighted my interest in the different cépages and sheer variety of vines was to Domaine Vassal in Marseillan Plage. Here, for the time being, is maintained France’s repository of vines. The work and effort to acquire, conserve, classify and valorise vines was fascinating and inspirational. Being there with some of my favourite vignerons was an added bonus on a memorable day. Book of the year – Pierre Galet’s ‘Dictionnaire Encyclopédique des Cépages’ was a gift from Jeff and is, like Domaine Vassal, a treasure trove of information about every wine and grape variety. Almost a thousand pages of facts, photos and drawings, it will be a book which will accompany me forever. 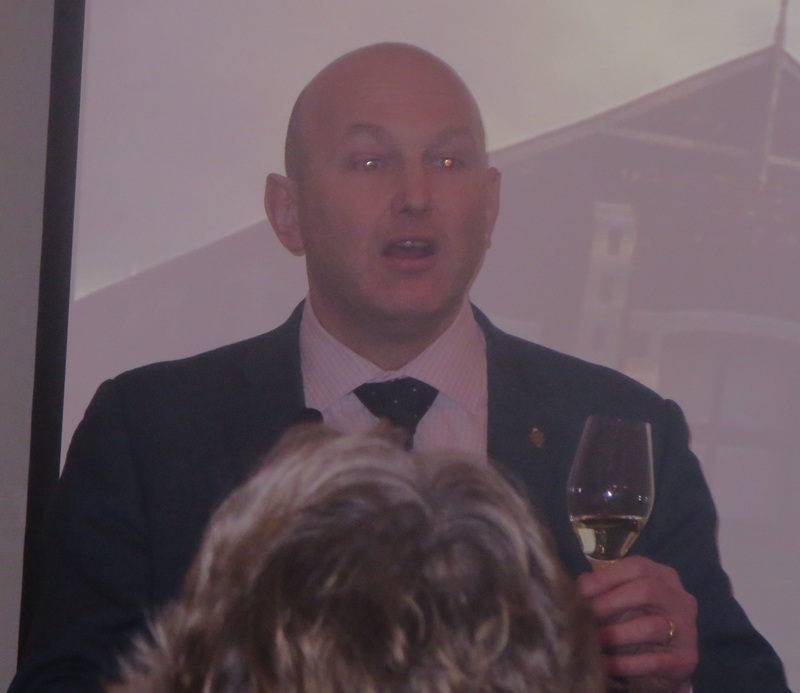 Blog of the year – I have enjoyed reading about wine from so many sources, however, it seems to me that blogs provide me best these days with opinion, entertainment and information. Michel Smith, David Farge, Rosemary George, Steve Slatcher, Jamie Goode and others would be worthy of your time. 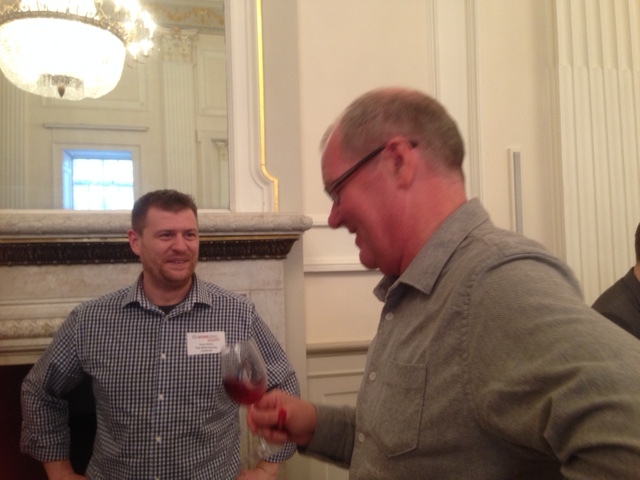 However, the one which has opened my eyes to wines from Australia, Austria, the Jura and many other areas of wine is the blog of my friend David Crossley and I strongly recommend it. Written with authority, wit and style, David has a broad tasting experience and an open mind, a rare combination in wine writing. Wine region of the year – Faugères, simple. So many excellent wines this year have come from Faugères, Clos Fantine, Domaine Cébène, Haut Lignières, Mas Sibert, Causse Noir, Mas d’Alézon amongst others. If you don’t know Faugères wines, then please seek some out. Dud of the year – corked wines. It’s an ongoing debate about which closures are best and I know that corks are of better quality than ever. Memories may fade of pouring a whole case of top Chablis down the sink but they are still there. And this year an expensive bottle of Beaujolais was just one disappointment amongst far too many. It really is the most frustrating aspect of wine when you pour a wine you have anticipated keenly only to find it spoiled. Restaurant of the year – Bouchon Bistrot in Hexham is always a treat and my favourites this year included; Le Terminus at Cruzy, La Very’Table in Neffiès, Cave St. Martin in Roquebrun and L’Amphitryon in Pézenas. Best though was Octopus in Béziers. Excellent cooking and service, imaginative food and a lunch menu at 32€ for 3 courses including wine and coffee. A close second was Les Papilles Insolites in Pau, a wine shop with a Michelin listed restaurant offering fantastic fresh, tasty food and no corkage fee at lunchtime for wines bought in the shop. Meal of the year – not a restaurant in fact. During the vendanges we were joined by a number of friends of Jeff and one, Karim, brought some fresh lobsters and scallops. Fresh, cooked simply with great skill and timing, they were simply delicious. Matched with a magnum of Casa Pardet (again!) Chardonnay, with Jeff, Cameron, Karim and Pat it was a superb evening, all the better for following a good day of vendange and the conviviality of friends. Location of the year – the Languedoc Roussillon. Varied, exciting, beautiful, friendly, fascinating. UK readers will know that the BBC runs a Sports Personality Of The Year competition and my next five highlights follow their categories. Team of the year – Team Coutelou during the vendanges. Jeff, Michel, Cameron, myself, Carole plus a host of special guest appearances from lots of friends. The camaraderie, hard work and spirit was something special and it was almost a let down when harvest finished and that tight team stopped working together every day. 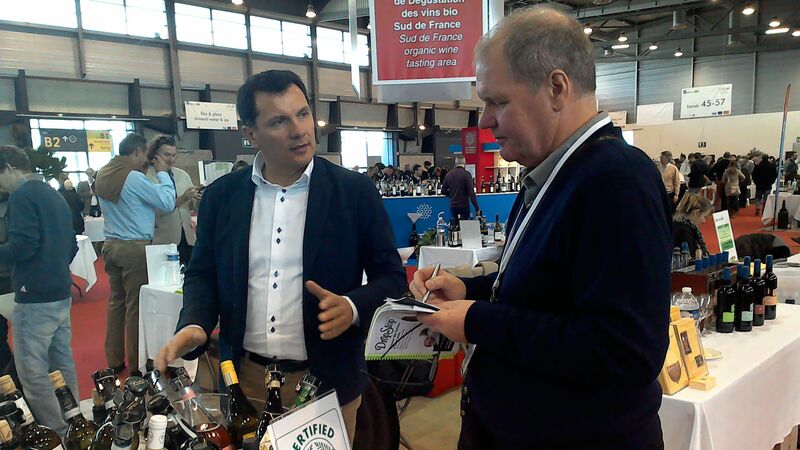 Young producer of the year – I met Joe Jefferies first at the Pub Quiz in Pézenas and it was a surprise when I met him at La Remise (see above) in Arles in his role as a vigneron. 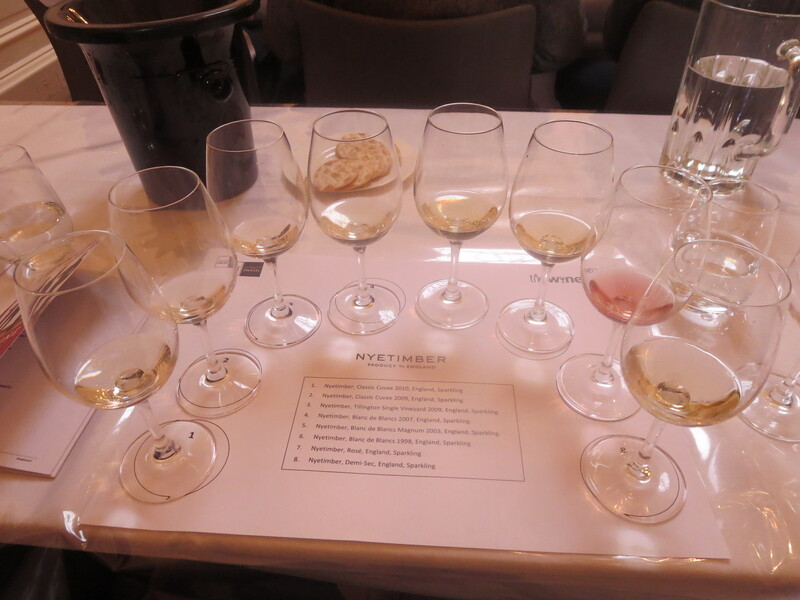 To be honest the wines were still very raw and unformed when I first tasted them but at subsequent tastings they developed into excellent wines, with Pierre De Sisyphe Blanc a particular favourite. It was a blow when Joe told me there were none left to buy! I look forward to watching him develop his talents with time. Special mention also to Simon Bertschinger and Sara Frémine at Mas Sibert in Fos, their Fosénot is a wine which has become a real favourite. Overseas producer of the year – in other words not French. Clear winner, Casa Pardet for the most memorable bottles of the year the Cabernet and the Chardonnay we shared at Jeff’s with the lobsters. Outstanding producers. Personality of the year – well no shock here, it has to be Jeff Coutelou. Yes he’s a great winemaker and a passionate advocate for, and defender of, nature. However, he’s also a teacher, coach and friend. So many of the opportunities and so much of the learning I have enjoyed have been due to Jeff. His wines are a constant delight and a reflection of his personality. Joy of the year – This blog. I started it as a hobby to occupy myself. Amazingly it has opened doors for me, taught me a lot and been a great way to meet people. I never imagined 11,000 people would read it within a year and that people in 106 countries would do so. So my final post of 2015 is written to thank you all for reading and sharing my experiences and enjoyment of wine, vines and the people who care for them. May 2016 bring you good wine, health and happiness. Well I’m hoping for a new camera to try to make better photos for the blog and also maybe a copy of Oz Clarke’s ‘The History Of Wine In 100 Bottles’ but obviously the focus here is on wine itself. Christmas colours are red and white so I shall look forward to great red and white wines. So top of my list are Flambadou 2013 and 2014, perhaps the best wine in both vintages from Mas Coutelou. 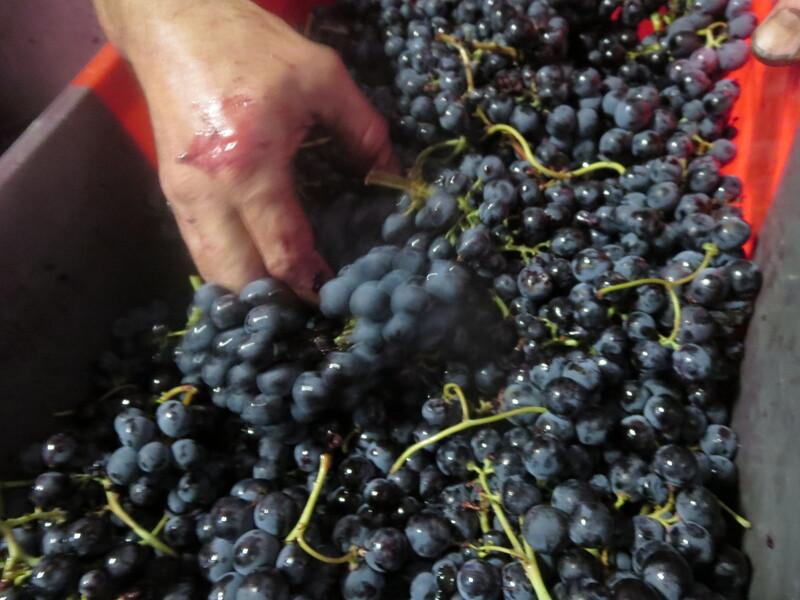 Pure Carignan and stunning. Snow Balls will be my white wine, appropriate for the time of year. Sauvignon Blanc, Grenache Gris, Maccabeu and Muscat grapes, very dry, full of white fruit flavours and incredibly moreish. More Sauvignon Blanc, Muscat and Grenache which are complanted in La Garrigue vineyard and made into a sparkling wine with a degree of sweetness, Bibonade is a lovely aperitif, my wife’s favourite! Well last night Iain, my brother in law, served up a Romanian red made from the Negru De Dragasani grape – I’d love to be able to say that I identified it immediately but as I’d never heard of it before! It was actually good, very spicy and refreshing. So my wishes are simple. For Jeff, lots of rest and sunshine as he holidays with his sister Catherine in Guadeloupe. For Puimisson and the Languedoc lots of rain as there has been so little for months and water levels are falling fast. For Icare, lots of treats, postmen to chase and mud to roll in. For you kind people who take the trouble to read my blog I wish you nothing but the very best; peace happiness and health. It has given me so much pleasure to hear from you and know that my love of wine, the Languedoc and learning are shared by you in the 106 countries from which you come. Thank you so much and a very happy Christmas. 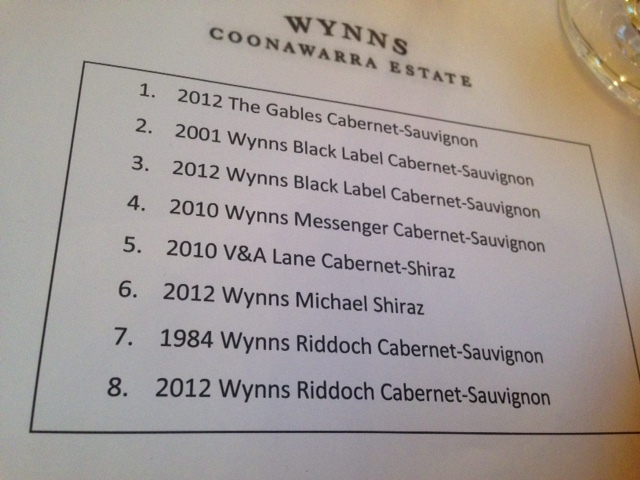 The 2011 was my favourite though all four would qualify for the case. A rare moment when drinking a great wine makes nothing else matter for that moment, just the sheer delight of what was in my glass. Superb. I just hope I can find some to buy in 2016! Other than Mas Coutelou wines Clos Fantine Tradition, Faugères 2013 has consistently given me the great pleasure throughout 2015. I started the year with the 2012, also great wine, but, as the 2013 was released, it was this vintage which appeared again and again on my table. Corine, Olivier and Carole took over their father’s domaine in La Liquière, part of the Faugères appellation, and have gradually built it up and transformed the vineyards and winemaking. This is a natural wine of clear freshness, fruit, complexity and depth. 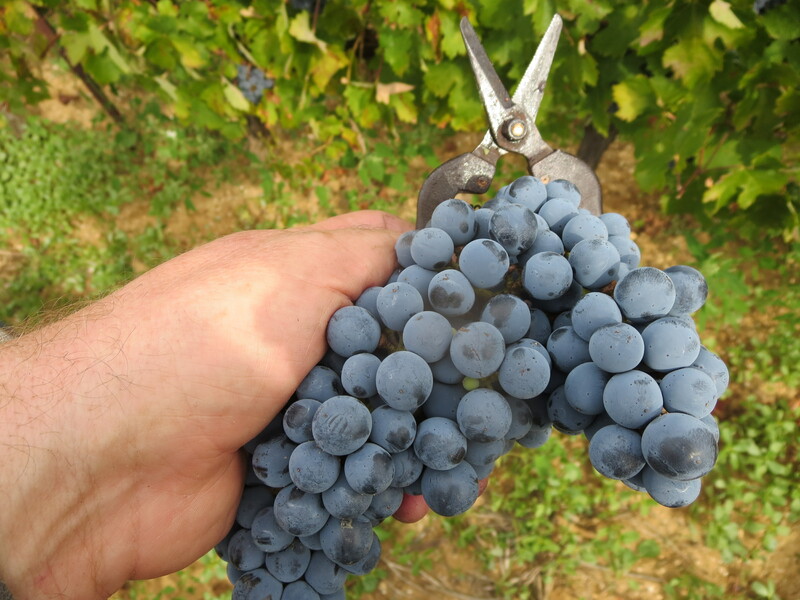 Carignan and Grenache, those quintessential Mediterranean varieties, dominate and deliver a wine which I would choose as quintessential Languedoc, Faugères and natural wine. My visits to the domaine were some of the highlights of 2015 for me, I greatly admire the family, and this wine is such a reflection of their passion and their beautiful, gobelet vineyards. Faugères was the wine region which became my favourite of the Languedoc during 2015. 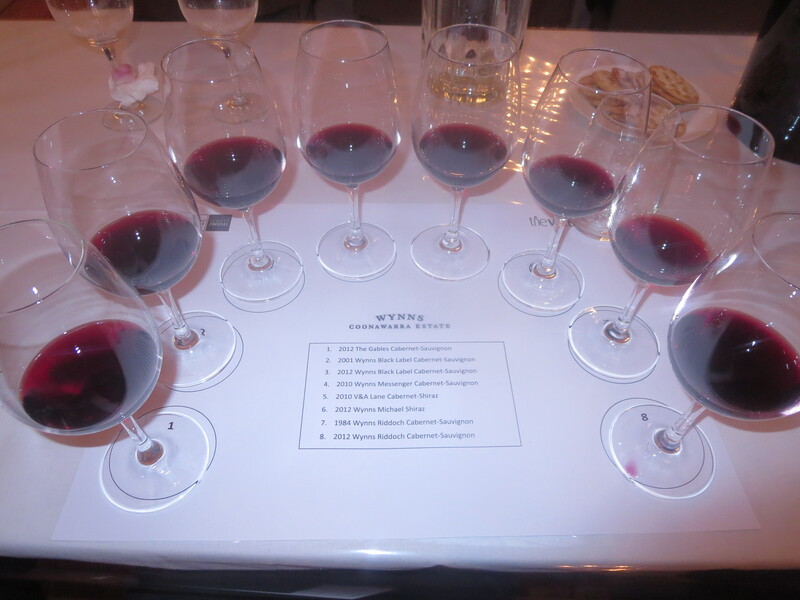 I was fortunate to taste most of the domaines’ wines across various tastings and events and to make friends of many excellent winemakers from there. 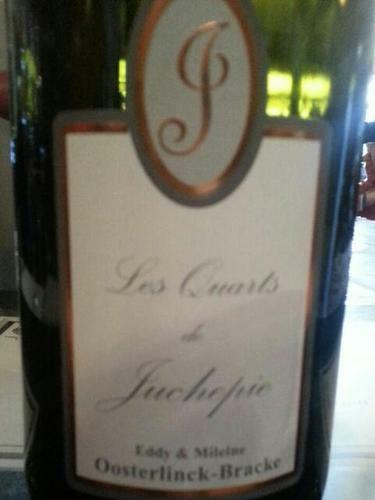 I would recommend wines from Haut Lignières, Ch. La Liquière, Barral, Causse Noir, Mas D’Alezon, Mas Sibert, Capitelles and, the domaine which first attracted me to the Languedoc, Ollier Taillefer. One Domaine though which I rank very highly is Cébène. Brigitte Chevalier had experience of winemaking, especially in her native Bordeaux but came to Faugères because of its schist soils and the freedom to make wines as she wanted. I have been fortunate to become a friend but that is not why I have chosen Domaine De Cébène, Felgaria 2013 for my case. This was one of those wines which, when I first tasted it, made me think ‘this is good’ but which I didn’t rank as outstanding. Then I tasted it again in July at the village wine fair and it had developed into something exceptional, the extra few months had brought it together. As I tasted it was another wine which made me stop analysing, stop thinking about it and just revel in the moment. Mourvèdre, Syrah and Grenache come together in a stunning wine. Despite appearances I was thrilled to taste the Felgaria and meet Brigitte again! 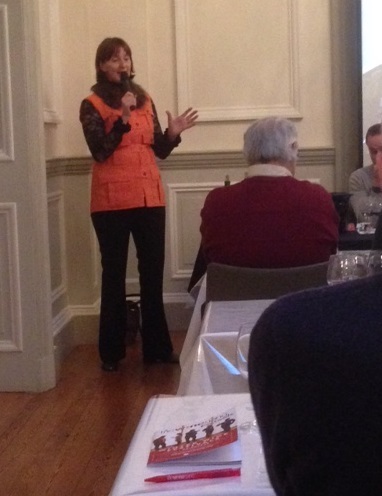 The Languedoc Roussillon region naturally dominated my tasting this year. I did taste great reds from Italy (Le Carline), Gaillac (De Brin and Plageoles), the Ardèche (Bock and Les Deux Terres), Burgundy (Magnien and Ardhuy), Rhone (Ferme St. Martin, Vieux Télégraphe), Spain (Descendentes Palacios) plus many others. However, there were so many great Languedocs from La Marfée, Maris, La Baronne, 2 Ànes, Mas Des Chimères, Pelletier, Navarre etc etc. It was difficult to select just a few for this case and then I opened a bottle on December from the back of my collection and it leaped into this case. In fact it is from Roussillon and from another wine first supplied by Leon Stolarski. This led me to Domaine Treloar when I started to travel in the region. Founded by Jonathan Hesford and Rachel Treloar, they have established themselves in the region and won plaudits and respect for their work and wines. Their first wines were produced in 2006 and it was a wine from that vintage which I enjoyed so much. Domaine Treloar, Motus 2006 is 80% Mourvèdre with 10% each of Grenache and Syrah. This was always a favourite of mine but the extra years in bottle have added even more complexity to the dark fruits and classic Mourvèdre notes of leather and spice. With the work they have put into their vineyards and further winemaking experience Treloar wines will continue to improve but this debut wine has really hit its stride and deserves its place in the case. Wine 5 is more controversial and I’d never have thought I would choose it at the start of this year. In 2014 I had a great holiday on the beautiful island of Sicily and had the good fortune to attend the Contrade Etna, the local wine fair. Amongst very many good wines I tasted those of Frank Cornelissen, the natural producer of all natural producers, making wines without sulphur on the most active volcano in the world. His wines divide critics and are used to berate natural wines by many. And at the Contrade I hated them, they were unbelievably wild, strange and seemed to be made of components fighting each other. 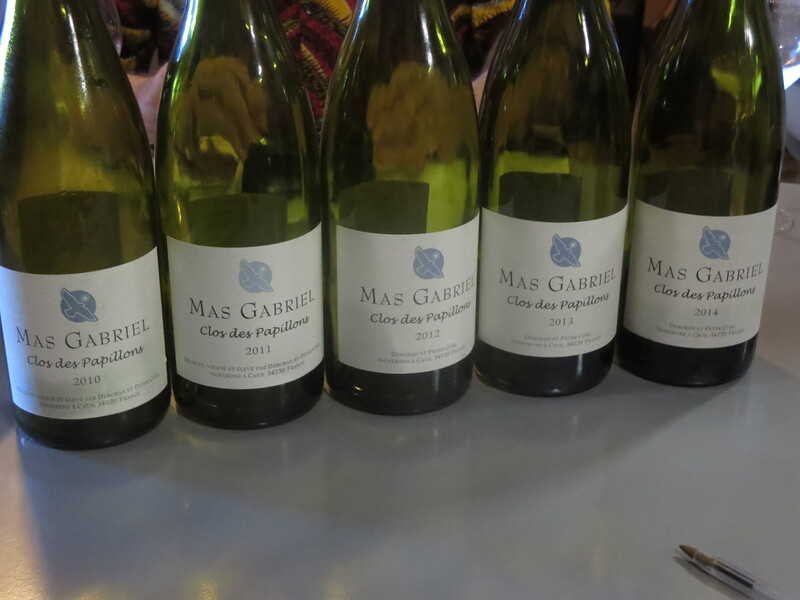 So when I tasted the wines again in Arles I had low expectations. I still did not like some of the wines but one amazed me, Frank Cornelissen, Magma 10 (2012). All sorts of aromas from fruit to caramel, flavours of strawberry, plums and spice which opened gradually and lasted a long, long time. Would I want to drink it regularly? Probably not, it is a wine which I admire and remember as a landmark in my tasting history, it was so explosive (appropriately for Etna) and memorable but not easy drinking. Plus enormously expensive and rare. I had to include it here because it was a wine which challenged expectations and made such a big impact. Other ‘challenging’ wines I really enjoyed included Terre Inconnue, Léonie 2005 and a fascinating wine from Georgia, cradle of winemaking, from the Alaverdi Monastery, Rkatsiteli 1011. My final choice though goes to the Rhone. 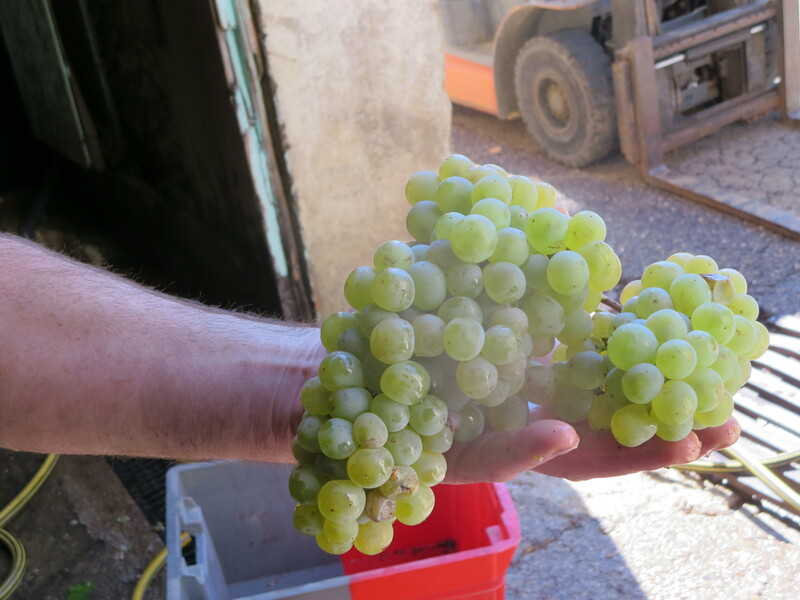 Back in June we were bottling at Mas Coutelou when Carole brought along a bottle which was instantly something special, Domaine De Coulet, Brise Cailloux, Cornas 2012. Mathieu Barret’s wine is obviously pure Syrah being a Cornas, and the word pure is very apt. It is clean, fresh and fruity with a razor sharp purity of flavour, aroma and acidity. I have always struggled a little with Cornas because it is so often dense and tannic but this is already drinking brilliantly and yet has the freshness which indicates a wine that will age and become even better. I am in the fortunate position of being able to taste so many great wines but this Cornas stood out immediately as something special. Thanks to Carole for sharing it. So there we go an almost impossible decision to refine my list to just six wines. Any feedback and choices of your own would be very welcome. I read an article recently by renowned wine writer Eric Asimov in the New York Times in which he outlined the twelve wines he would always want to have around, his everyday case of wine. As I read it I naturally began to consider which wines I would include in such a case. 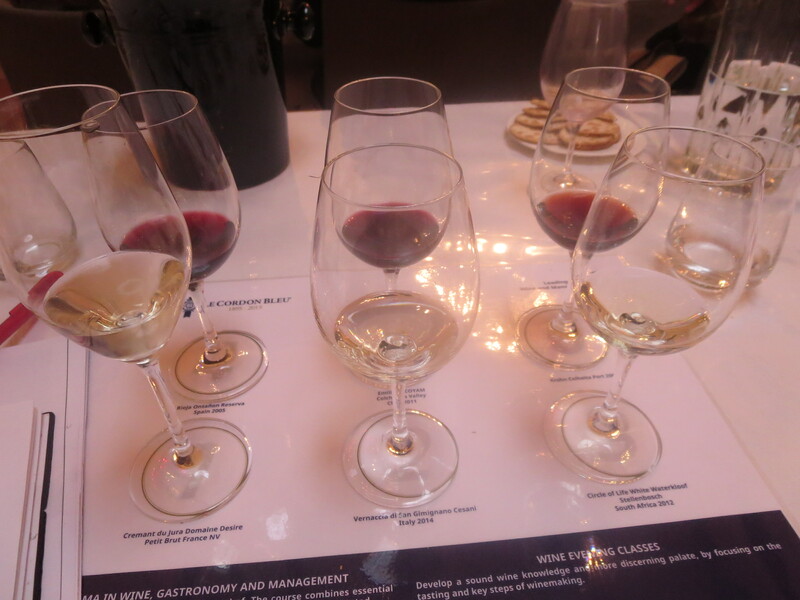 Issues to consider included the balance of red and white, sweet and fortified as well as sparkling wines. I could make a case just from the Languedoc, even from Mas Coutelou alone. In the end I went for a balance of wines. As an everyday case I have chosen still wine over £15 (€20) and sparkling / fortified wine less than £25 (€33). 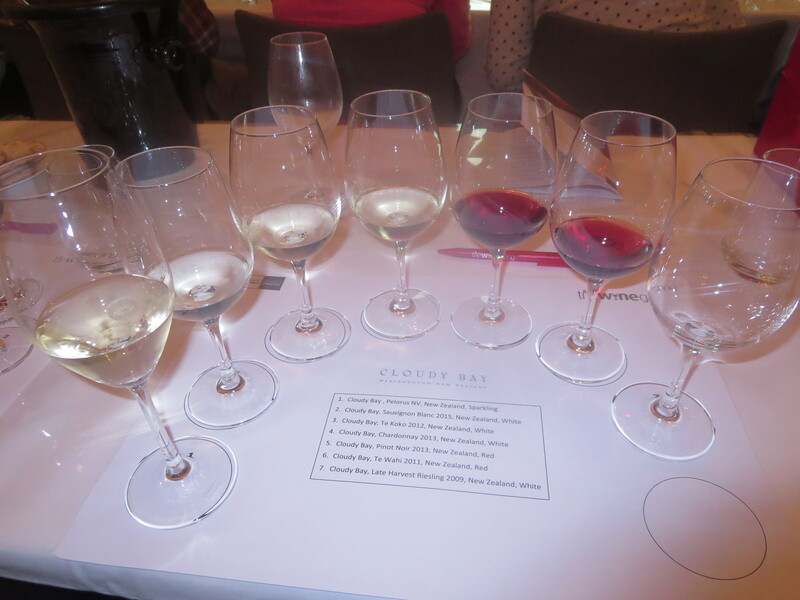 I decided on a balance of white and red together with one example each of sparkling wine, sherry, port and sweet wine. 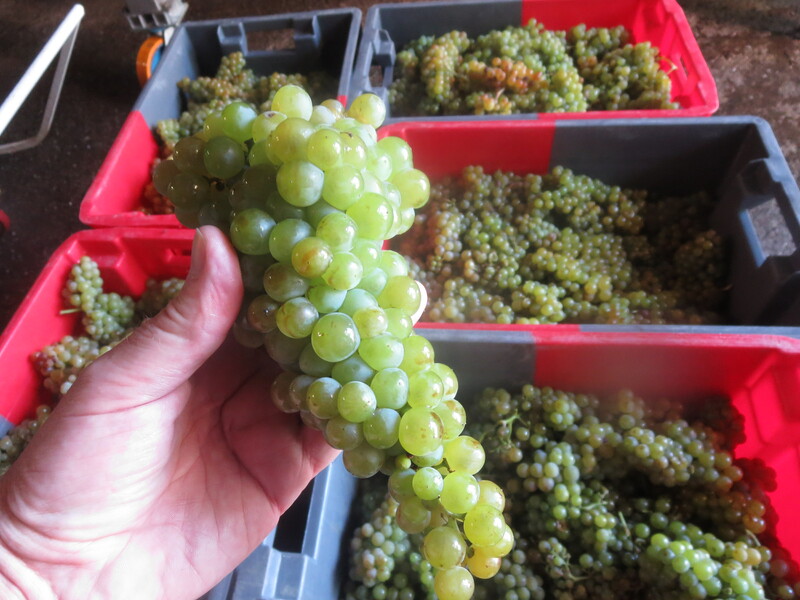 I have to start with Riesling, my ultimate white grape. I like Alsace examples a great deal but nothing surpasses the Mosel for me and the Kabinett / Spätlese styles in particular. JJ Prum or Bürklin Wolff Kabinetts would fit the bill nicely, easily within the price bracket, I shall go with the former. The last few years have given me a great love of Jurancon dry white wines, heightened by a recent visit. 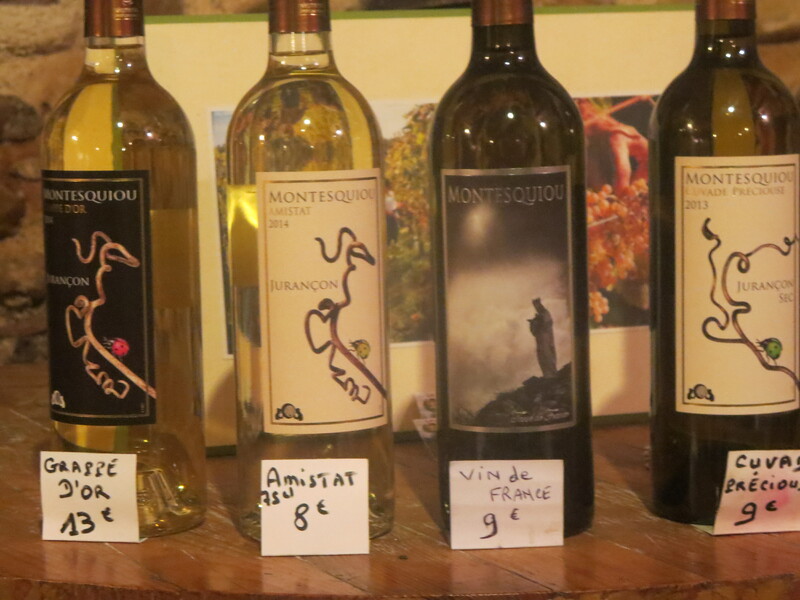 In particular Domaine Montesquiou strike me as amongst the great white wines of the world. The balance of fruit, acidity, hint of sweetness enriched by the lightest oak influence is just my thing. I loved the new Vin De France and L’Estela is a favourite (unoaked) but will stick with Cuvade Préciouse for that extra complexity of oak. Vouvray was the first wine village I visited in France and remains a favourite for its mix of dryness and hints of sweetness in the demi-sec style. The Loire is a centre of natural winemaking and I shall opt for Vincent Carême’s Vouvray Le Clos, though not all his his cuvées are sulfite free . Champalou would be an alternative. I would love to include a white Burgundy but price makes it difficult, I was close to choosing a Grenache Gris from Roussillon. Instead I shall opt for Mas Gabriel’s Clos Des Papillons. A firm favourite for many years I was fortunate enough to attend the 10th anniversary dinner of the Domaine this summer and to taste through a number of brilliant vintages of this superb Carignan Blanc and it is a wine which gives me so much pleasure and a reminder of how great the Languedoc can be. Red wines and the choice becomes even harder. 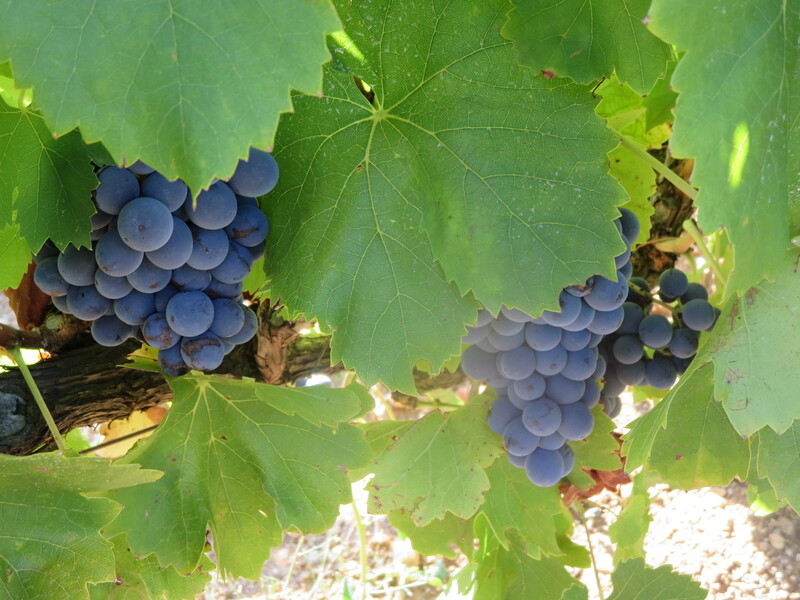 I have to include a Languedoc – Roussillon wine because I love it and there is no better value for quality wine. How to choose? There are so many wins I love but how could I not include a Mas Coutelou? A week without one is too long so there has to be one in my everyday case. Vin Des Amis was the wine which hooked me, Copains and Flambadou would be amongst my favourites. 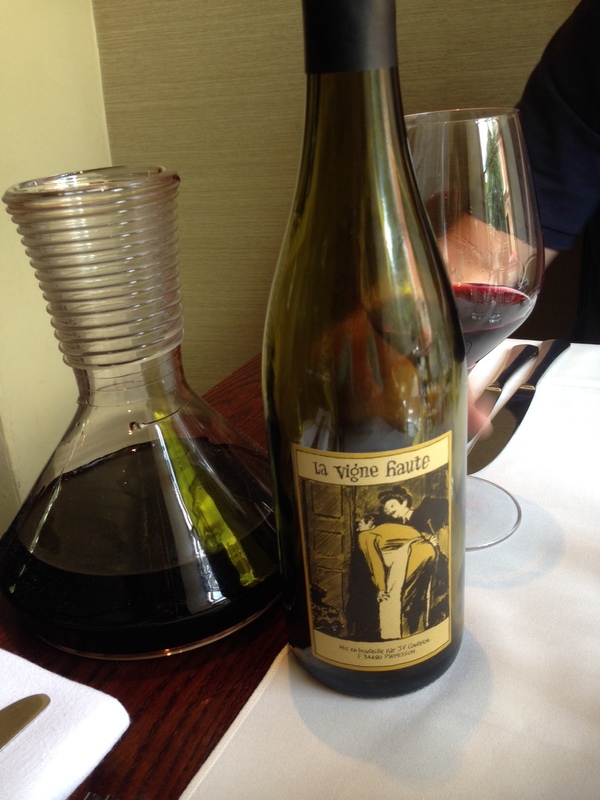 La Vigne Haute and its pure Syrah with drinkability and complexity combined is the choice though. If I had to choose one bottle to drink for a final meal this would be it and yet I can fit it into this everyday price bracket, great. I love lighter structured red wines and I would definitely want one in the case. Beaujolais is a favourite but my preferences are, sadly, above the price bracket. Just fitting it however, my choice would be a Sicilian Frappato from the excellent producer COS. I really fell for this on a trip to the island in 2014 and its fruit, complexity yet light touch fits the bill perfectly. 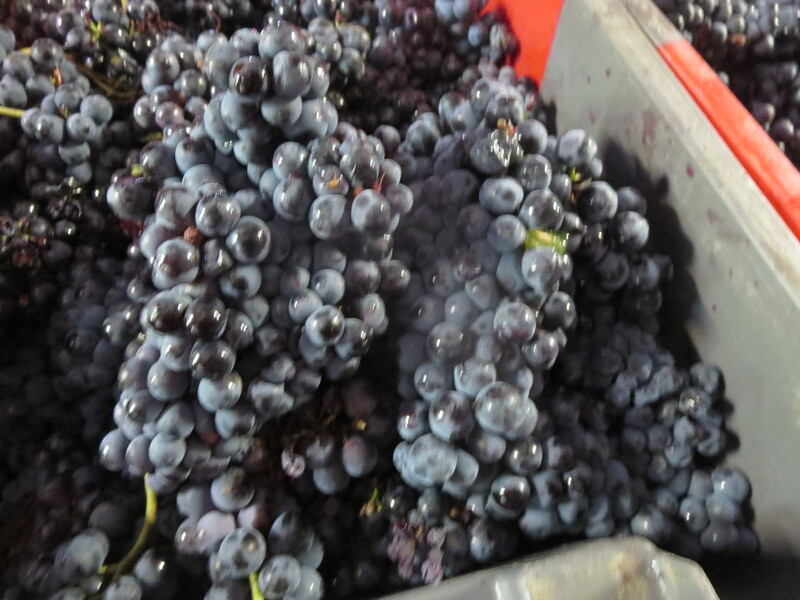 My favourite red wine grape is Pinot Noir. I was lucky enough to visit Burgundy when prices were high but not stratospheric. I soon learned that one memorable bottle would be followed by a number of disappointments but that one bottle was so good that it made me keep searching for more, very addictive. 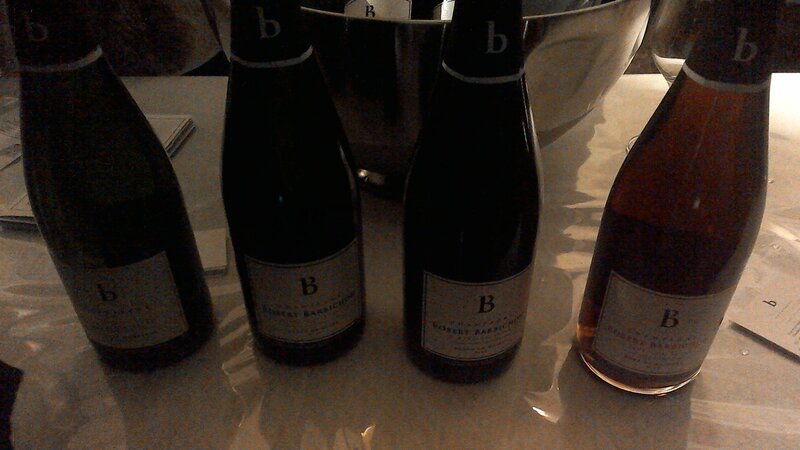 No New World Pinot can match Burgundy though there are some very good ones. But at less than €20? Well there are good Bourgogne Rouges available and villages such as Fixin offer better prices but even they push that limit. 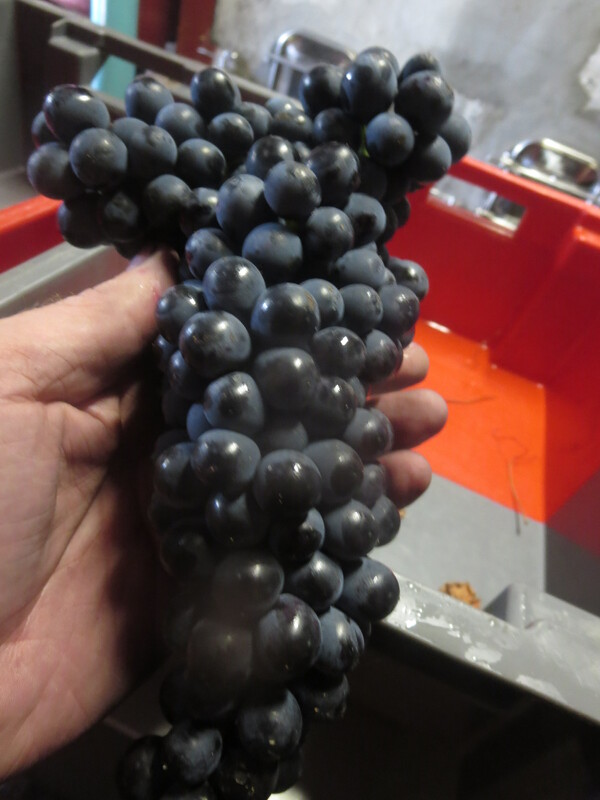 One producer whose wines I really like is Guillot-Broux in the Maconnais. The wines are much more serious than you’d expect from that area, equal to many Côte D’Or producers. I notice the Macon Pierreclos is £15.95 with the excellent Leon Stolarski so maybe he will do a discount for a bulk order. Cheat? Probably, but I have to include a Burgundy. Other than Sicily my choices have been all from France and I want to remind myself that good wine comes from around the world. Te Mata Coleraine was the first new world red to really make me realise how good it could be but the price has risen way too high. Australian reds were a staple for so many years though I find so many too heavy these days, especially in this price range, much as I love some Penfolds, Wakefield and Tim Adams. Spain is a source of good value wines though I find too many overoaked. Casa Pardet (Costers del Segre) was a great discovery this year but too expensive for this. Instead I have opted for another Italian wine, Le Carline Refosco which is sulphite free and has great freshness and fruit, a great food wine. And a reminder of how unusual cépages have been a great interest for me this year. Sparkling wine means champagne to me. 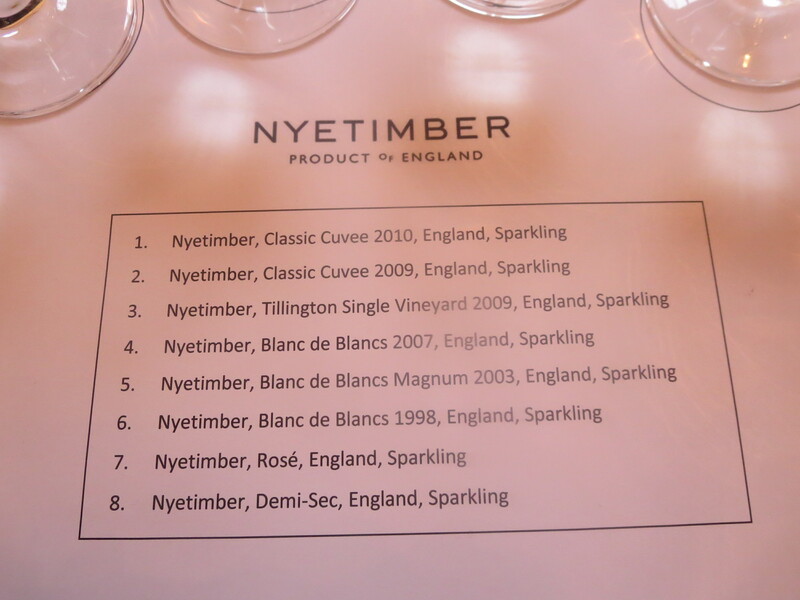 I love some Pet Nats such as that of Vincent Carême, I appreciate some crémants and sparkling wines such as the Nyetimber I tasted recently but nothing quite matches Champagne for quality. I have always liked Roederer and nothing has been better than Charles Heidsieck in recent years but they are too pricey for this case. Barbichon, Lassaigne and Franck Pascal are all producers which pleased me through the year and I could buy wines from all three in France for under €30 so I shall opt for the Quatre Cépages of Barbichon, with its Pinot character adding some extra weight. Sherry is a must, nothing beats its variety from the clean dry fino or manzanilla to the intense sweetness of pedro xinenez. I am a fan of them all but a Cayetano del Pino Palo Cortado really caught my attention this month with a real balance of dryness with a touch of sweetness and great complexity. Like many sherries it is great value too. Port is another wonderful wine style and I love its variety, from tawny to vintage. At this price I would choose Late Bottled Vintage and probably Niepoort just above Warres, it is more in a vintage style, not quite so rich. Finally, a sweet wine. The Jurancons of Montesquiou and Nigri were a delight, great wines from Huet too. Natural sweet wines from De Brin and Clos Mathélisse would fit the bill too but in the end one range of sweet wines stood out this year and they were the Coteaux Du Layon from Juchepie and I would select Les Quarts for the case. At a push I would merge the port and sweet wine choice and opt for another red wine but I would be very happy with my case. Feedback and your own selections would be very welcome. Categories: Wines | Tags: Barbichon, Burgundy, Burklin Wolff, Careme, Clos Des Papillons, COS, Coteaux Du Layon, Frappato, Guillot Broux, JJ Prum, Juchepie, Jurancon, Kabinett, La Vigne Haute, LBV, Le Carline, Mas Coutelou, Mas Gabriel, Montesquiou, Niepoort, Nigri, Palo Cortado, Refosco, Riesling, Vouvray | Permalink.